This is the podcast for the ERC-funded interdisciplinary project Diseases of Modern Life: Nineteenth Century Perspectives, at the University of Oxford. The project explores the medical, literary and cultural responses in the Victorian age to the perceived problems of stress and overwork, anticipating many of the preoccupations of our own era. Last year, Diseases of Modern Life collaborated with The Projection Studio on the light and sound spectacular, 'Victorian Speed of Life'. Recently, Principal Investigator from Diseases of Modern Life, Sally Shuttleworth, sat down with Ross Ashton and Karen Monid from The Projection Studio to ask how the project impacted their work. This podcast features sounds from the show itself. 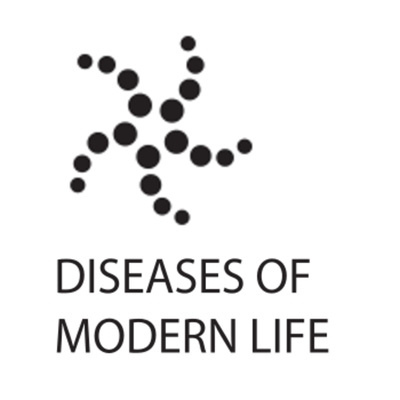 This podcast was presented and edited by Dr Catherine Charlwood for the Diseases of Modern Life project. Book for the 8th February Ruskin conference and public lecture at the Oxford University Museum of Natural History here. The guests were Professor John Holmes (University of Birmingham) Dr Fraser Riddell (Trinity College, University of Oxford) Professor Fiona Stafford (Somerville College, University of Oxford) The quotation from Ruskin’s letter to his father was written on 31st January 1849 and can be found on page 93 of Volume 36 of The Complete Works of John Ruskin. I am indebted to William J Gatens’s 1986 article ‘John Ruskin and Music’ for highlighting this letter. Music for this episode was extracts from ‘Qui la voce sua soave’ from Bellini’s opera I Puritani (1835). It was performed by Maria Callas at the Teatro alla Scala and directed by Tullio Serafin. This recording can be found at Liber Liber and is licensed under the Creative Commons Attribution - Noncommercial - Share Alike 4.0 International Licence. In this episode, we explore how the project collaborated with Year 8 pupils at Cheney School to make Victorian Light Night (16/11/18) a success. For further information - and to view the winning designs - see our blog at www.diseasesmodernlife.org Produced by: Dr Catherine Charlwood With thanks to: Dr Lorna Robinson and Cheney School Music for this episode came from the Free Music Archive, with two songs (Little Nemo Selection and L’Encore) performed by the Victor Hugo Orchestra and recorded on Edison Cylinders between 1909-1910. This music is licensed under the Public Domain Mark 1.0 License. The sound effects came from the BBC Sound Effects Archive, which are made available for educational use under the RemArc Licence: -	Electric school bell rings. (Recorded in London, 1980.) -	One unshod horse passes at trot on rough track, with some birdsong.